Like the V60 CC Wagon, only it's a sedan. A few generation cycles ago, Subaru offered its Outback wagon as a sedan, but it looked pretty weird and thus wasn’t a huge seller. But those who bought one knew it was unique. If you didn’t like wagons but wanted a purpose-built, all-weather sedan, it was about your only market choice. 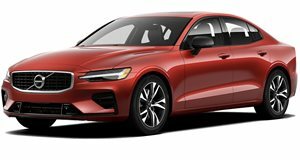 Subaru has since discontinued the Legacy Outback sedan, but now Volvo is taking a crack at this ultra-niche segment with the S60 Cross Country. 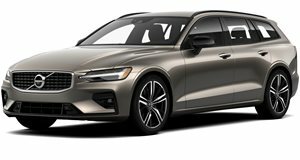 It’s like the V60 Cross Country Wagon, only it’s a sedan. It’ll have its official debut next week at the 2015 Detroit Auto Show and judging by the recent treacherous snowy US weather, people might like what they see here. Also like the V60 CC, the S60 CC has a raised ride height of 2.5 inches over the standard sedan. All-wheel-drive will be standard with the exceptions being the UK and other select markets where front-wheel-drive will also be offered. Power will come from the familiar 2.5-liter inline-five diesel producing 190 hp. However, that’s for Europe. Strangely, Volvo still hasn’t confirmed whether this jacked-up sedan will be sold in the US. Be kind of strange if it wasn’t. If it does, power will probably come from the turbo inline-five found in its wagon counterpart. More details to come in a few days. The V60 is the latest model to benefit from Volvo's beautiful design language.